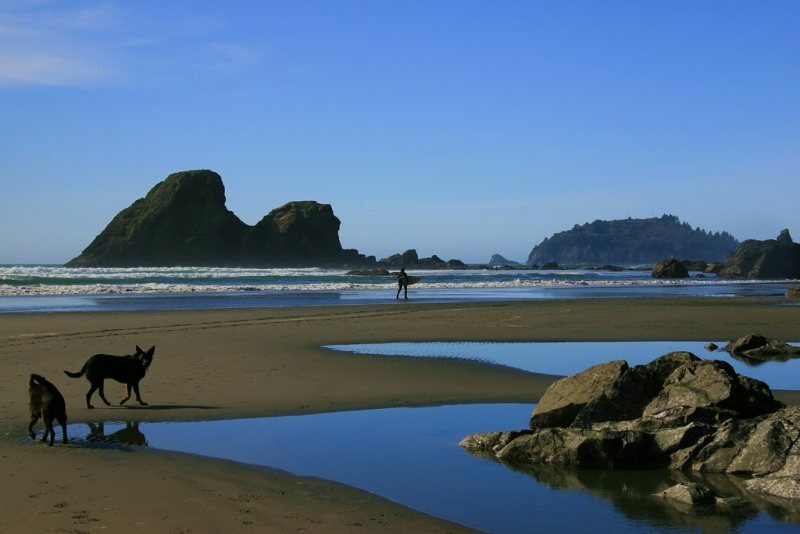 A favorite for families and their pets, this beach offers fine dining nearby (Moonstone Grill), rock climbing, cave exploring, surfing, and river frolicking for all. Parking is available at beach level for immediate beach access. It is well worth the effort to descend the stairs down the side of the hill that lies above this stunning beach park. 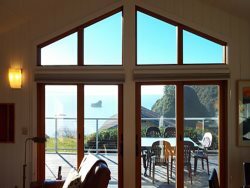 This sunny cove has amazing tide pool exploration opportunities, a perennial creek, large boulders, and stunning views of Trinidad Bay. This is a great place for a romantic picnic or for families to play. 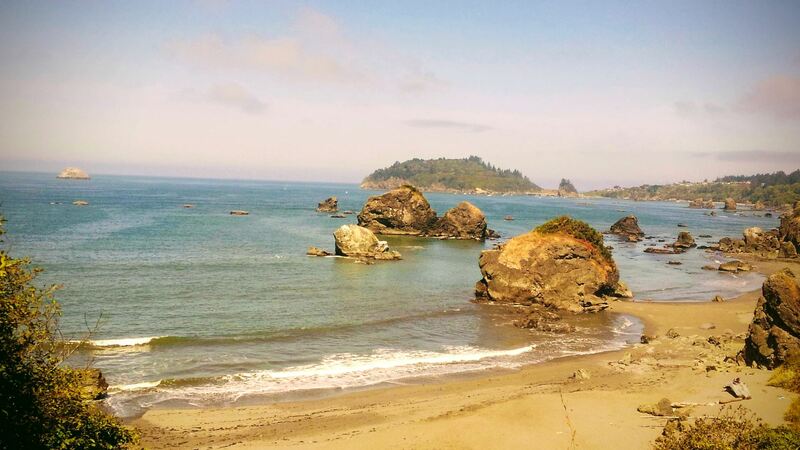 Not far from Luffenholtz Beach and County Park, Baker Beach is a favorite destination for clothing-optional sun bathers. This secluded cove features shade trees at beach level, great snorkeling (bring a wetsuit! 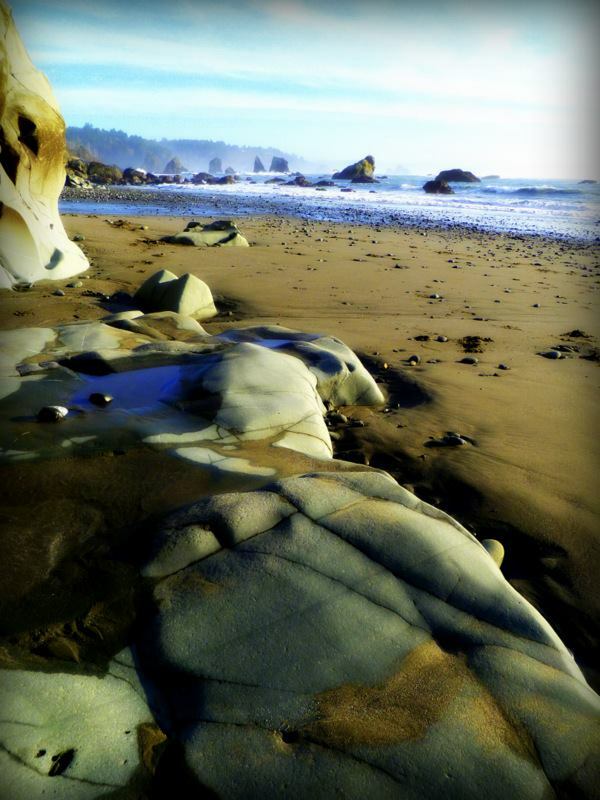 ), tide pooling, exploring nearby rocks and trails, as well as amazing views. This state park's dense forests of spruce, hemlock, pine, fir and red alder stretch over an ocean headland with lovely wildflower-festooned meadows. 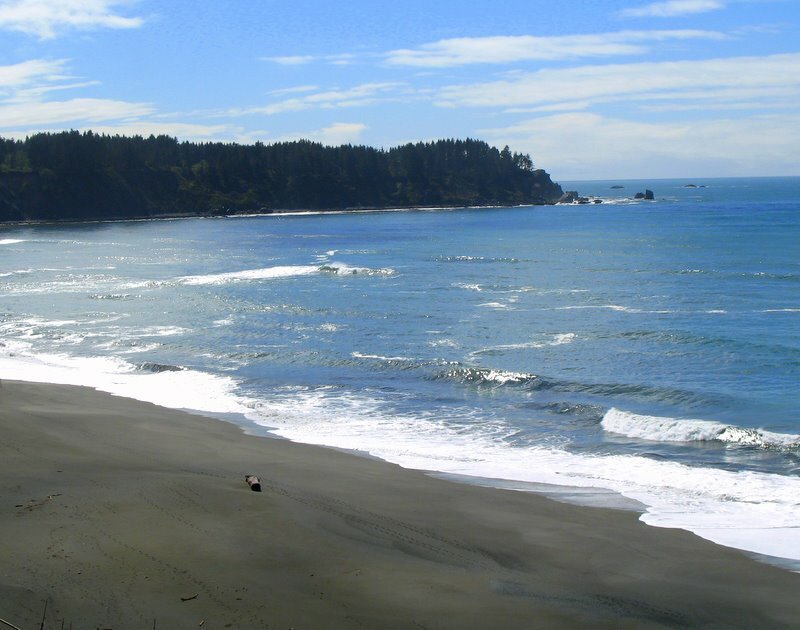 A dramatic shoreline ranging from broad sandy beaches to sheer cliffs that rise high above the Pacific Ocean offers great opportunities to explore tide pools, search for agates and driftwood, watch whales, sea lions and brilliant sunsets. 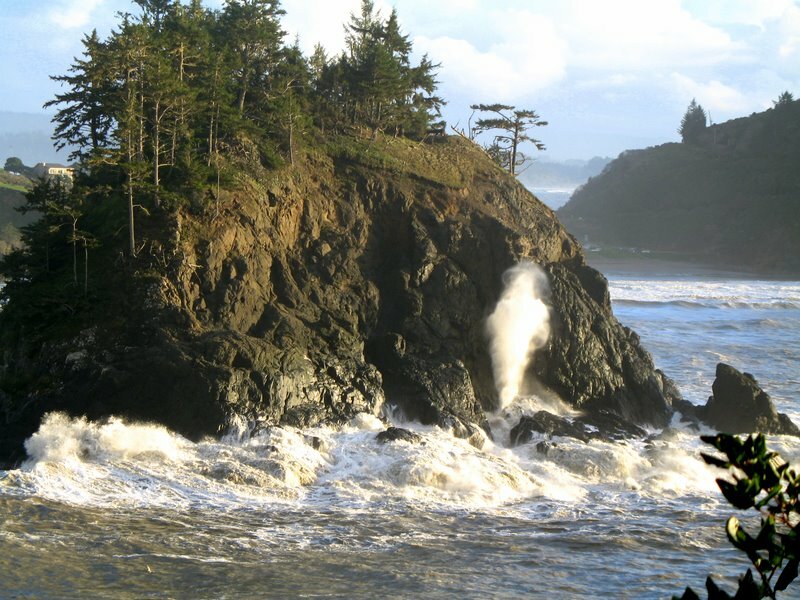 The park offers several miles of hiking trails, a recreated Yurok Village, a native plant garden, visitor center, three family campgrounds, 2 group camps, a camp for hikers and bicyclists, and 3 group picnic areas. This beach is well protected and warm. 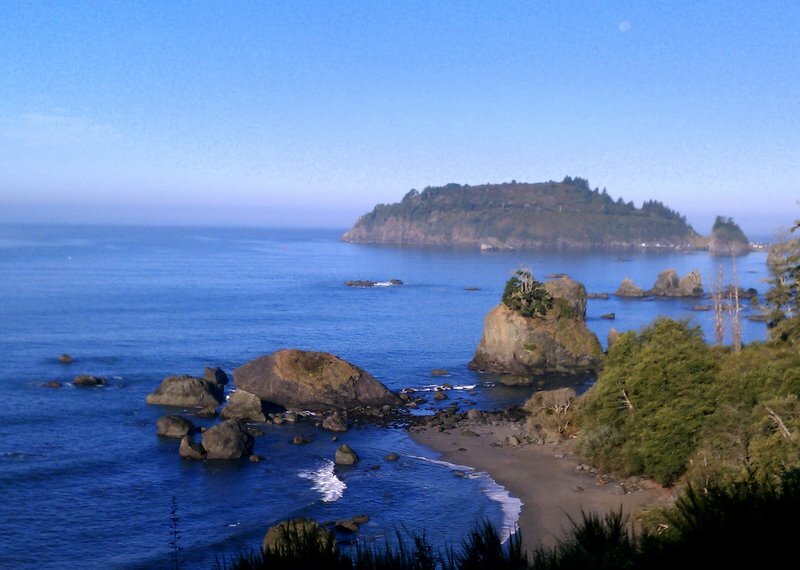 A moderate hike down hillside steps provides access to seclusion and amazing views of Pewetole Island, its blowhole (on larger swell days) and the Trinidad Head. Parts of this beach are clothing optional. 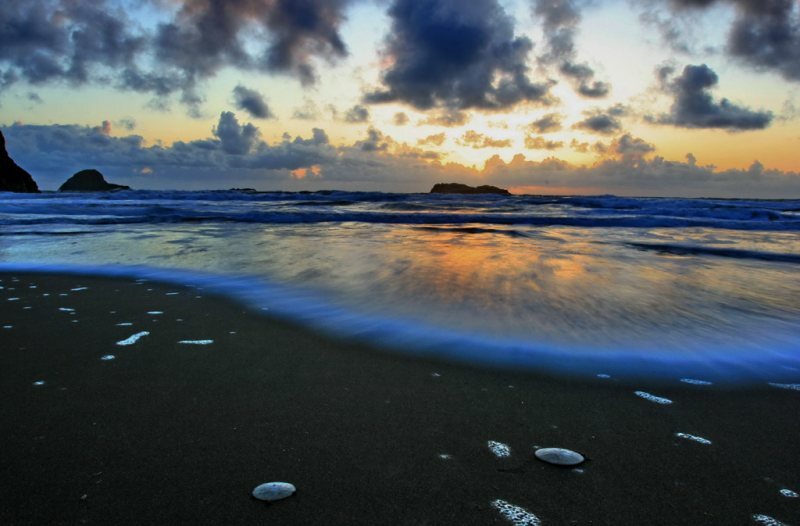 This quiet, wave-sheltered beach is just right for a peaceful stroll. 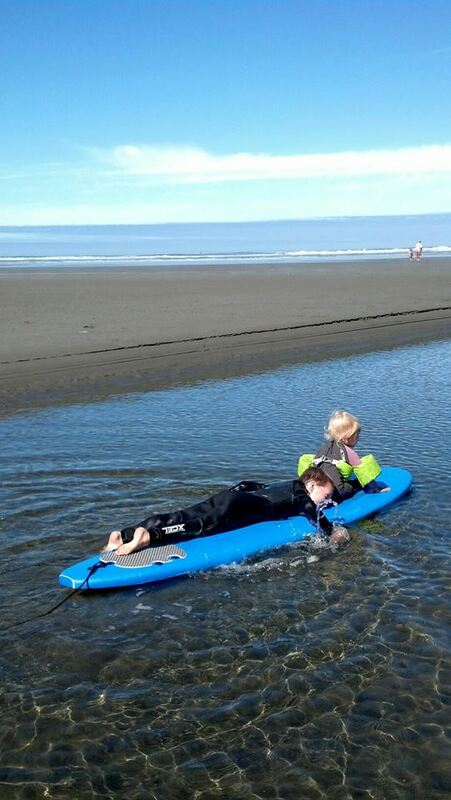 The surf is gentle, the sand is dreamy, and the beach inspires exploration of its diverse features. It is a safe and enjoyable place for small children to wade and play. Be sure to visit this beach during low tide. Access the trail of stairs at the Trinidad Memorial Lighthouse. Directly below California registered historical landmark No. 838 was located the ancient Yurok village of Tsurai. A permanent Indian community of the past, the houses were of hand-split redwood planks, designed for defense and protection. The village was occupied until 1916 (source: HMDB.org). Tsurai villagers launched their canoes into the ocean from here. Each rock and place has a special name and meaning.